Do you have an email account set up in MS Outlook but can't use it because you have forgotten the password? Perhaps you have an employee who recently left your company and you have no clue how to access his employee email account. If your employee was using the Outlook email client, there is a simple way you can recover the password. 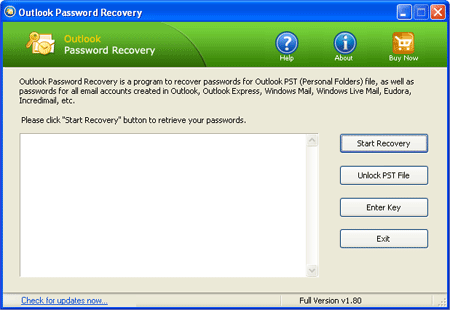 Outlook Password Recovery is an easy-to-use solution for this problem, it enables you to easily recover passwords for Microsoft Outlook mail accounts and personal folder files (*.pst). Click here to download the setup package of Outlook Password Recovery and save it in a place that is easy to find, such as your PC desktop. 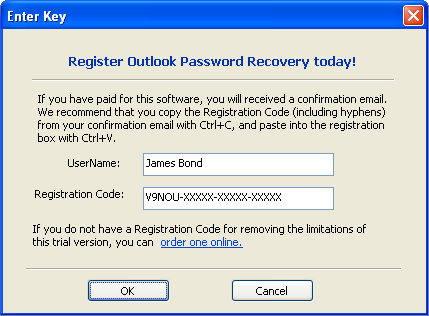 Launch the Outlook Password Recovery program. Click the Start Recovery button, the program will instantly recover all types of MS Office Outlook passwords: SMTP, POP3, IMAP, HTTPMAIL, LDAP. To recover forgotten password for your Outlook PST file, please click the Unlock PST File button. It allows you to navigate to your password-protected PST file. Click the Open button. 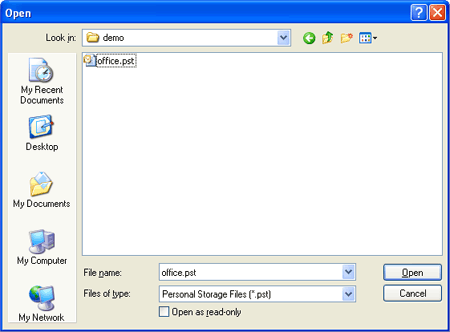 The program will display your PST file password instantly.